It’s there but it’s hidden. Feels like treasure hunting. That’s what you might think once you encounter this place, The Strudels Factory. Under the shadows of increasingly popular demands of Western delicacies (aside of Italian or steak) of pancakes and waffles, The Strudels Factory might be the only place right now that pioneers strudels as its signature dish. Ready to hit the market? Let me test it first. I dropped by around brunch time and the we’re the only patrons that time. They seemed to be still preparing themselves which you can judge by nonexistent ambiance of music and the staffs chattering loudly from around the kitchen. My mother particularly disliked such commotion. It’s only natural that should a guest arrives, everything must already be prepared or swiftly adjusted or simply just close the door until you’re ready. So that was a reckless thing I suppose. Lucky, the waiter was quite swift in serving us. We were handed out the menu and plenty of choices there. Aside from the strudels, this place also offers pancakes and waffles, to make the competition more edgy at their side I suppose. 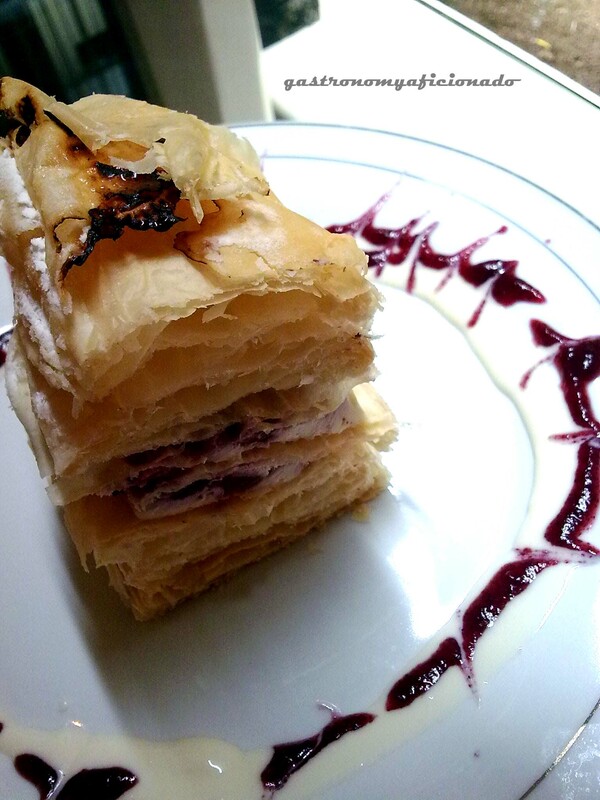 Nevertheless the dishes fits well with the strudels theme. Also burgers and pastas are available. In short, they also got appetizers all the way to dessert mostly in Western genre. Some Indonesian dishes are also available but in a somehow heftier price. Of course, coming here would be a waste should we not try the strudels. It’s the place’s name by the way. They offer two types of strudels actually, sweet or savory. I suggested my mom to pick the sweet and she chose Blueberry Cheese Strudel slice (IDR 17,000). 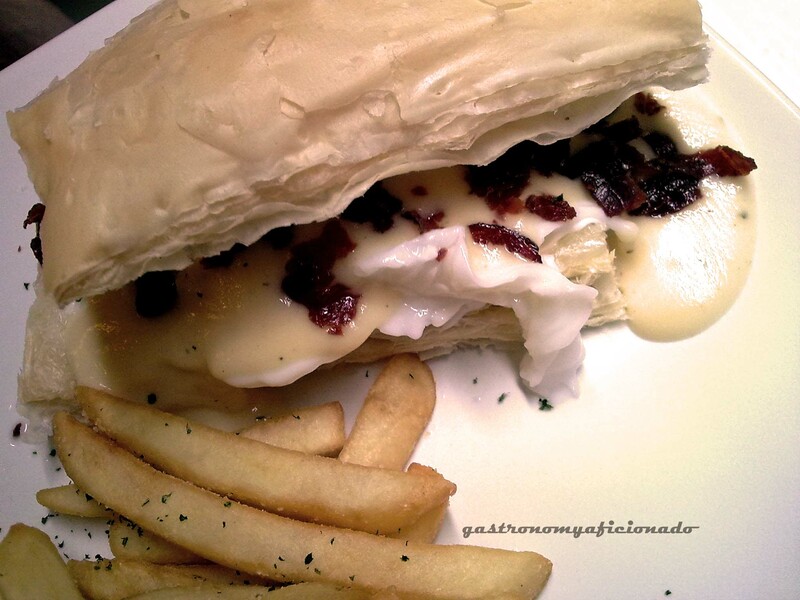 I picked Egg Benedict Strudel (IDR 29,000). Other than those, the sweet strudels you can pick are the classic Apple Strudel slice, Blueberry Strudel slice, and Rhum Raisin strudel slice. Not much choice though for the sweet section. It’s not as versatile as we can see from pancake/waffle parlors. Even so, in the savory department, more choices can be seen though not many but more expensive. Variations of savory Moushee Strudels (mushroom and cheese), Tuna Strudels, Beef & Egg Strudels, Turkheese (smoked turkey and cheese), and Strudel Con Salmon are available at your disposal. At any rate, you can wonder from soup and salad, sandwich or burger, wide choices of pasta dishes, steak, and most of all, the pancake and waffle section which I found all quite rich in selection but not necessarily similar with Pancious or Nanny’s Pavillon. I took a small tour around and found out a more proper dining section on the backyard. The ones in front are more suitable for lounging and coffee time with all the sofas which are quite comfortable. I found it a nuisance that they actually just paste cements as the floor and painted it white. It’s ugly and even if it’s expensive, they should have installed wooden panels instead, making the place warmer and more elegant. 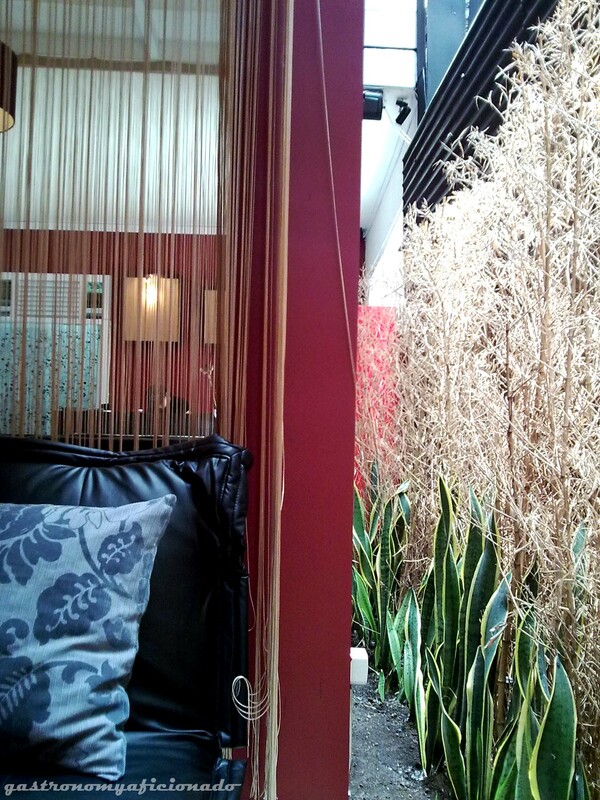 The lightings are adequate for lounging with a certain curtains to keep every table within its zone of privacy. But when the strudels came, we suddenly forget of everything else. The blueberry strudel was proportionately made and covers every sections. The strudel was fulfilling, filled in the center with the sticky blueberry and cheese, and sauces of blueberry and milk all over the plate. Just dip it a bit for enhanced taste. Not long after that my Egg Benedict Strudel came and certainly it took some time to prepare it. The poached egg somehow requires skill and the best thing about the dish was the mozzarella cheese sauce with shredded smoked beef. To make it even more fulfilling, they added French fries fried with herbs. The mozzarella and the smoked beef sure worked well in duo. Feels like you’re eating a sandwich. Savory, tasty, and intense. However to my dismay, once the mozzarella cheese diminished, the strudel ran out of its magical influence. I felt content nevertheless and definitely will come back again later. 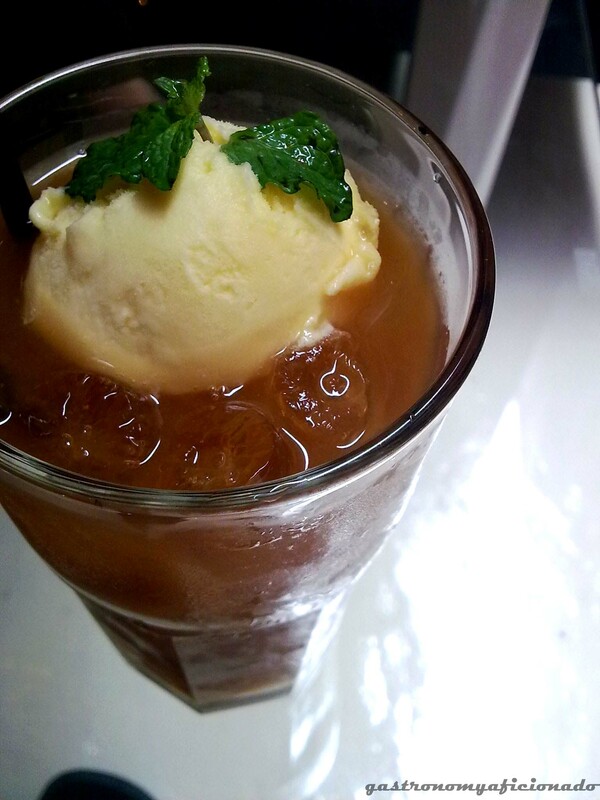 By the way, my mom picked Mango Special Iced Tea (IDR 20,000) for the drink. I just picked the common hot tea but luckily they serve Twining’s for that. This special tea was supposedly good since the waiter himself recommended it. It’s actually a mango infused iced tea serve with floating mango sorbet. That’s new indeed, but the sorbet didn’t really have the passion in it. The sourness was indeed lacking and turns out that it didn’t fuse well with the tea. So whatever the waiter recommends, best to think about it first and don’t let it cost you punitive damage of IDR 20,000! To sum it all up, The Strudels Factory is indeed the insurrection of today’s pancake and waffle regime, but with its current driving force I can safely assume that the prospect is between bright and not. With its authenticity, The Strudels Factory should do some breakthrough, at least finding itself a more decent open place where they can compete openly with other diners. For the taste, it’s guaranteed well that The Strudels Factory can keep up with the current youths tastebuds and that’s me definitely. I like the place and the food even with its cons and minuses. Bandung as I said in my previous previous post about Daisy’s Steak is indeed a place of budding ideas and a melting pot of international food reengineered locally and creatively. Therefore I shall vote for the continuous existence of The Strudels Factory. May you prosper and well, but don’t stop to improve yourself! Ambience & Interior: Should be around conversational with finally, after opening up decently, filled with jazz soundtracks which in line definitely with the interiors, warm and lavish but killed instantly with the whitewashed cement floors. Service: Not impressive but nonetheless useful. Lacking in smile and inept at recommending. Think first before you pick something out of the menu or test them with details of the dishes first. Pricing: Starters from IDR 15,000 to IDR 29,000, Sandwiches/Burgers from IDR 32,000 to IDR 37,000, Pasta from IDR 25,000, Pancakes/Waffels from IDR 15,000 to IDR 29,000, Strudels from IDR 15,000 to IDR 38,000, and Desserts from 16,000 to IDR 23,000 . Reservation: Recommended for weekend night. Payment Methods: Cash, Debit Cards, Credit Cards. Savoury strudels? Now that’s a twist! Indeed! It’s one of its kind and apart from that The Strudels Factory presents one of the most bountiful portion of delicacy with a very affordable price. A rare treat for quantity-goer but the taste was of course, quite commendable.